For businesses that utilise online services like home delivery and click and collect, the importance of having large floor space stores is decreasing. However, downsizing stores or moving to smaller units is often a costly process involving various stakeholders and contractual agreements. With business rates on the up and rising import costs for many companies, big box retailers can utilise excess floor space by subletting to other companies - a move which, if done correctly, can end up benefiting both parties. The host generates additional income from the rent whilst also increasing sales from an influx of new customers, and the concession brand saves money on renting a full unit and benefits from the footfall that the larger store generates. Local Data Company data shows that five of the 10 fastest growing occupiers in 2018 were retailers who were expanding concession sites (EE, Pet Hut, Pep&Co, Max Spielmann and Vets 4 Pets). Pressure on the UK's supermarkets has never been higher, facing competition from online retailers and discounters, as well as consumers moving away from a big weekly shop in favour of smaller, convenience-led trips. With sizeable portfolios of large-format stores, they have been one of the first retail groups to think strategically about inviting other retailers into units. A recent example of this is Sainsbury’s trialling Argos concessions after acquiring the catalogue retailer. The Argos brand benefits from opening stores in locations with a constant flow of footfall and access to parking; while Sainsbury’s benefits through being able to offer specialised general merchandising (products like toys and electricals) which Argos perform better on. 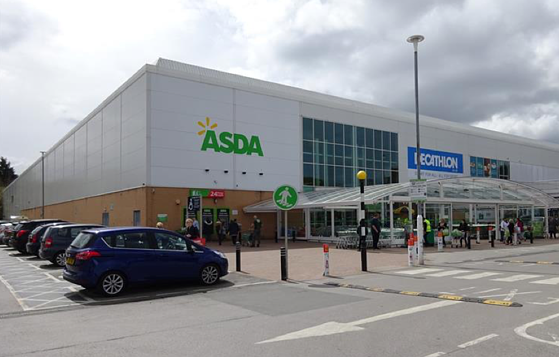 Other successful supermarket collaborations include the partnership between Decathlon and ASDA where we see the French sports goods retailer in some of ASDA’s larger stores, and the partnership between Costa and Tesco with the coffee shops appearing in 16% of Tesco's stores up and down the country (Source: LDC). Missguided launched in 2009 as a purely online, value-focused fashion retailer and experienced huge growth for over six years before it opened any bricks-and-mortar stores. Its first physical UK offering was a concession unit in Selfridges in Manchester’s Trafford Centre opening in 2015. Commenting on the move at the time, Missguided’s founder and MD Nitin Passi stated that the business’s focus was on “experimentation with the brand, trying new and innovative ways to engage a wider market”. This move from the fast-fashion brand was interesting as the company had no previous experience of retailing in physical stores. This strategy enabled the brand to test the water with a physical concept to assess the consumer demand for a physical presence without the heavy investment that comes with opening a standalone store. The Manchester concession proved successful and Missguided went on to open another concession in Selfridges in Birmingham’s Bullring. Following the continued success of these concessions, Missguided then opened its first standalone store in Westfield Stratford City shortly followed by their second outpost opening in Bluewater Shopping Centre – which ended up earning a nomination by Retail Week for their Best New Store Award. Interestingly though, even with the seemingly unstoppable growth by the brand, Missguided recently filed large losses claiming the Westfield and Bluewater stores generated insufficient revenue to cover their operating costs and soon announced the closure of the London flagship store - perhaps the continued expansion was rather …misguided? 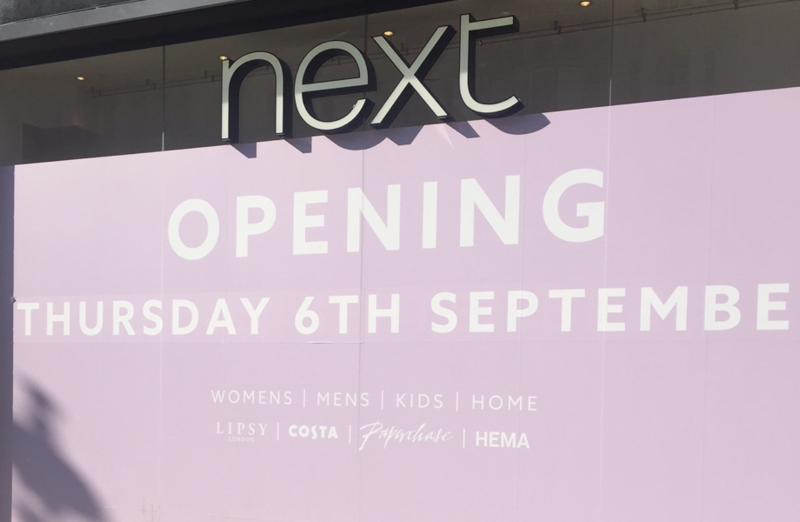 Clothing, footwear and homeware giant Next is no stranger to sharing space; they have utilised concessions with a range of brands such as HEMA, Costa, Lipsy and Paperchase in their own large floorspace stores. They have more recently partnered with Tesco to trial a clothing concession in their Surrey Quays store in East London – one of their largest units in the country. Travel agency Virgin Holidays is an example of a business that focuses operations in the ‘store-in-store’ format with specialised shops called ‘v-rooms’ offering services from full spas and salons to champagne rooms and virtual roller coasters that allow you to travel through some of the tour operator’s must-see destinations. 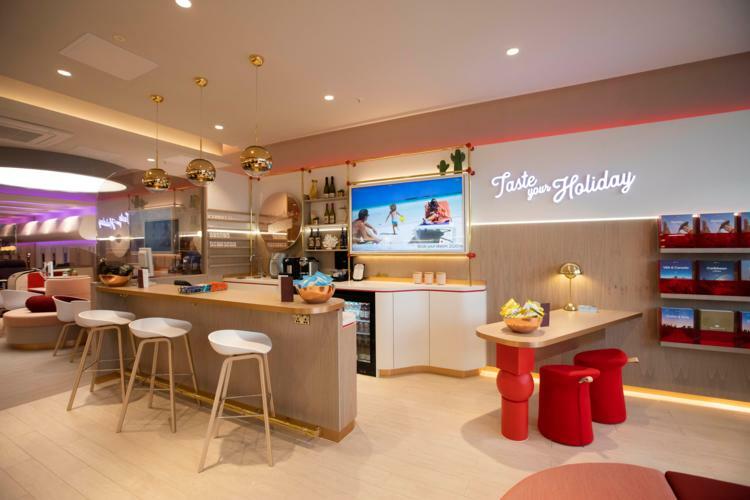 In 2018, Virgin Holidays teamed up with Next to open a series of new concession stores. Both brands believed they would benefit from their shared 'family demographic' target customer base. When the collaboration was announced, both parties stated that they expected to benefit from the deal with Head of Retail for Virgin Holidays, Dan Buckingham stating that Next have a “retail footprint that is well-located and superbly designed” and a spokesperson for Next adding that the travel agency will “complement our current offering in store”. Vice president of product and distribution for Virgin Holidays, Lee Haslett, has said that “Next is a much stronger customer fit” than their previous concession partners (which included Tesco, House of Fraser and Debenhams) and that bookings by Next customers were 20-30% higher than in other concessions – highlighting the importance of identifying a suitable host for the concession. There are plans for a further 20 agencies to open within Next stores in 2019 on top of the 20 it currently operates. In one of the more curious examples of concessions, car retailer Rockar have a deal in place for Ford to sell cars from the Next store space in Manchester’s Arndale Centre. Andy Barratt, Ford of Britain chairman and MD, has said that there is “growing appetite to browse for cars in other retail environments and online” and believes that this new venture will be a way for some customers to begin their car shopping journey while on a trip to Next but also noted that many customers would still want to make their big purchases from a traditional dealer. Rockar currently have units selling cars in shopping centres with Hyundai in Bluewater and Jaguar Land Rover in Westfield Stratford City (Source: LDC), but this will be the first concession of its kind with a store inside another store. Expectations are that the new Ford and Next collaboration will generate footfall levels many times greater that seen in the Bluewater and Westfield units. Next will also benefit from many shoppers that are enticed into the store by the lure of shiny new motors. There are currently no plans in place for another concession of this kind but Rockar founder Simon Dixon said that this kind of collaboration could pave the way for the introduction of similar retail outlets to more of its 500 UK-wide stores. The growth in concessions and partnerships between retail brands has grown in the last five years, and we expect this to continue due to two factors: Firstly, retailers do not need as much space as they did historically and so the larger units will need multiple occupiers to continue to make them viable. The demise of department stores over the past few years will open up a small pipeline of retailers who will be looking for new opportunities to take up small spaces within a larger scheme. Secondly, retailers will need to continuously innovate and think outside of the box to drive in-store sales. Partnerships with experiential brands or online players will create a unique in-store experience, and therefore we can expect more online brands to partner with traditional high street retailers. This in turn creates win-win scenarios as online brands can use this entry into physical space to increase awareness and brand engagement, access a new customer base and dip their toes into the wonderful and complex world of bricks and mortar retailing. Get in touch with us to find out how the Local Data Company can support your concession strategy -email sales@localdatacompany.com or call the office on 0203 111 4393 to speak to a member of the team.